The now no-longer published Doctor Who – Battles in Time magazine ran a 4-part Cyberman comic strip featuring the 10th Doctor. The comicstrip was perhaps most interesting for its introduction of Cyberdrones and Cyberdogs, as well as giving a new origin for a Cybus-designed group of Cybermen in our universe. A summary of the plot follows below. The Doctor’s sunshine break on the Earth colony holiday world of Centuria is interrupted by the arrival of Cybermen rounding up the tourists for conversion. Captured and taken off in a truck, the Doctor teams up with Jayne Kadett, an undercover investigator on the trail of an interplanetary info-thief. 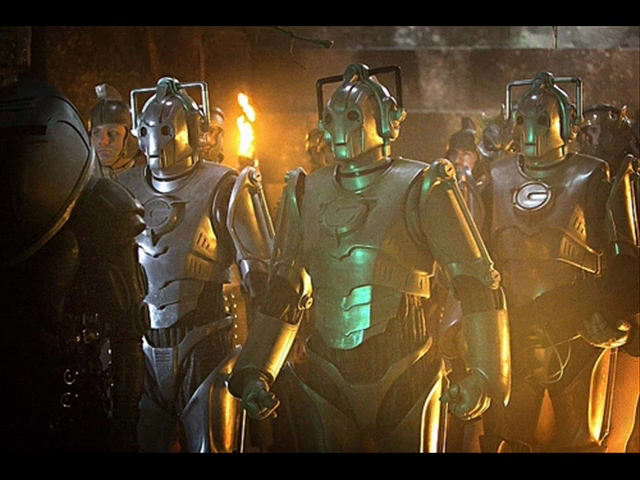 The thief stole Torchwood files and built his own Cyber army, intending to sell the hi-tech soldiers to the highest bidder, but the Cybermen took control and partly converted the thief, using him as their driver. When they arrive at the conversion factory, the Doctor and Jayne escape by using the Doctor’s sonic screwdriver to overload the Cybermen in the immediate vicinity, and they make their way to the main power line. The thief had also stolen the power supply by tapping into the local nuclear grid. The Doctor manages to blow the restraint circuit and the power feeds out to the Cybermen; the overload destroys them and creates a huge explosion, but before the Cybermen shut down one sends out a message to others. The Doctor is determined to track them down, stop what they’re up to and destroy them all. The Doctor and Kadett follow the Cyberman’s signal, taking a robot-run airship across the now-deserted continent of Azlon on the planet Centuria. 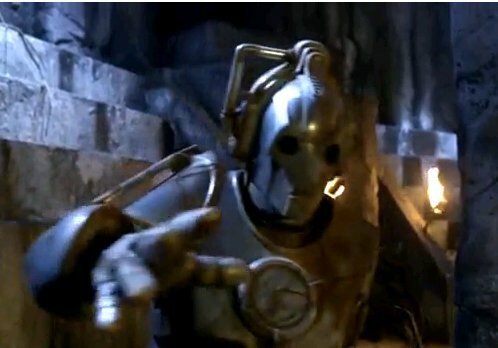 Before arriving at the airbus terminal (a Cyber-conversion factory), the conductor / law enforcer becomes influenced by the Cybermen’s hypnotic signal, which is being used to subjugate the arriving humans. The Doctor, Kadett and a reprogrammed robot conductor pretend to be hypnotised and follow the other arrivals. Seizing the right moment, the Doctor disrupts the hypnotic signal and the conductor robot attacks the Cybermen. A stray shot from the conductor ruptures the fuel banks, causing a huge explosion which kills most of the newly converted Cyberdrones (basic work units) as their humanity starts to become more dominant. As the Doctor and Kadett flee the explosion, they find a bit of a map in a Cyberman’s hand – a map that might lead them to finding out what the Cybermen are up to on Centuria. 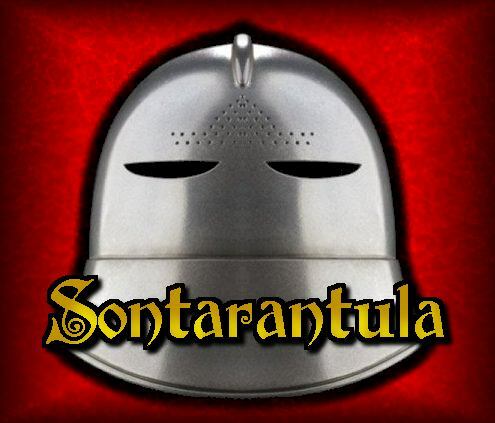 Wandering the Arctic lands of Centuria in search of the Cybermen’s base, the Doctor and Kadett are attacked by a rogue-half cybernised drone called Homaj, who backs down when he realises they are human. Homaj can’t face returning to the mines where the Cybermen are using drones to mine hargstones (precious jewels with many industrial uses. An attack by a native Ice Snake (a giant vicious purple snake) is brought to an end by the Cybermen and their partially converted cyberdogs. Homaj runs off into the frozen wasteland but the Doctor and Kadett are captured and taken to a huge mine below the ice. Inside the mine, the Doctor creates a distraction while Kadett steals some explosives. The distraction causes a Cyberman to split one of the cave walls, disturbing a nest of Ice Snakes which attack them. Escaping the mine, the Doctor and Kadett see the Cybership has already departed with its cargo. Homaj is waiting for them and tells them he intercepted a message saying that the cargo was going to Centuria Central. He then takes the explosives from Kadett and heads back to the mine. In an act of self-sacrifice, he permanently seals the mine. The Doctor and Kadett leave in pursuit of the Cybership. The TARDIS lands in Centuria Central and in a temporal stasis field. Kadett is caught in the frozen moment but the Doctor, being a Time Lord, can resist the field. Cybermen in a patrol aircar spot him moving around and pursue. The Doctor uses his sonic screwdriver to bring the aircar crashing down, drawing the attention of other Cybermen, who arrive to salvage parts and take them back to base. The Doctor smuggles himself into the base with the salvage. The base is the Triplanetary base which the Doctor suspects has been robbed of its Hargstone reserves to enable the Cybermen to maintain a stasis machine. The Doctor learns from the Cybermen that they built the stasis machine from Torchwood files and used the device to subdue overwhelming opposition. Choosing the most secure place for the machine, the Doctor escapes and heads for the bank’s vault, but it is made of titanium and is protected by laser-proof glass and destructor rays. When the Doctor can’t get in he uses the sonic screwdriver to turn the destructor rays inwards, destroying the stasis machine. The Cybermen have a mental link with the machine that enables them to move around inside the stasis field, so when the machine is destroyed the temporal feedback overloads their circuits. With the Cybermen now no more than ghosts and the stasis field gone, the Doctor says goodbye to Kadett, warning her to keep her eyes peeled. In the shadows, the eyes of Cybermen glow red. A Cyberman – damaged but not completely ‘armless. Mentioned in the episode (but not necessarily appearing on screen) are Terileptils (from the 5th doctor story “The Visitation”), Zygons (from “The Terror of the Zygons” aka “The Loch Ness Monster”), the Atraxi (from “The Eleventh Hour), the Chelonians (from various spin-off books and audios), the Drahvins (from “Galaxy 4”) and the Draconians (from “Frontier in Space” aka “The Space War”). What have we learned from the Cybermen? 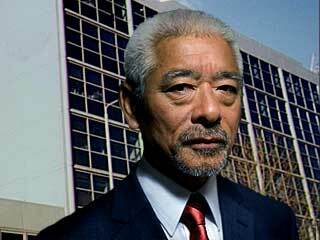 Dr Tanizaki is head of the Cybertechnology Institute of Osaka, founded 2007 after the Cyberman invasion. Purpose of the CiO was to monitor and learn from the Cybermen and their debris. Many early experiments proved unsuccessful, especially due to the lack of available material (mechanical or biological), or any way of understanding the equipment that was used. Dr Tanizaki is incredibly fussy about travel and hotels. First class and five star. Very keen to know what kind of treadmill is in the hotel gym, due to a recurrent knee injury. Cybernetics is “efficiency of action” taught Louis Couffignal, an early pioneer. “Efficiency” is what the Cybermen have shown us. Their technology reduced humanity to its core essentials, and then rebuilt those components so that they functioned more efficiently. It was a fundamental reimagining of the human concept, a revision not just of body but of brain. If we look to the Greek origin of the word “Cybernetics”, we see that it was originally about the theory of government. Rather than replacement limbs or organs, we return to the Greek view of restructuring human behaviour along unified lines of efficiency. This is what the Cybermen are – a model of physical and psychological efficiency. A simplified structure where every unit (we cannot say individual) worked towards a defined Telos (Greek again, for goal or purpose). If you look at the human way of doing things, you can see at least five different levels and modes of interaction, which I shall detail later. What is most important is that these are layers of inefficiency, with each individual working towards their own goals, and only towards a unified goal if that suits their own selfish purpose. A way of defining a unified goal is to identify, perhaps, supporters of a football team – they display, there, a shared wish for success which can also [extract ends].